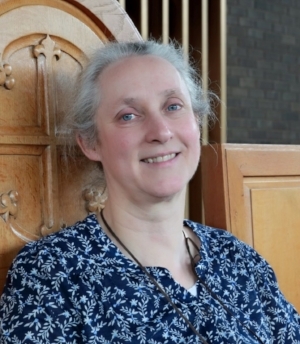 I introduce myself, Rev Clare Davison, as the nearly new Minister at Headingley St Columba Church which is located on the left side of the A660 going south just beyond the centre of Headingley. I’ve been here a year now, having moved from a role with the Churches in Halifax, helping them develop mission projects - parish nursing, use of an empty house for a refugee project and a debt counselling centre. You can tell where my passions lie. My other main role is as a mission enabler throughout Leeds United Reformed Churches. So far in Headingley I’ve really enjoyed the sense of community as well as the vibrancy of the place, which is added to by the people of all ages and backgrounds. It’s one of the best places we have lived as a family. 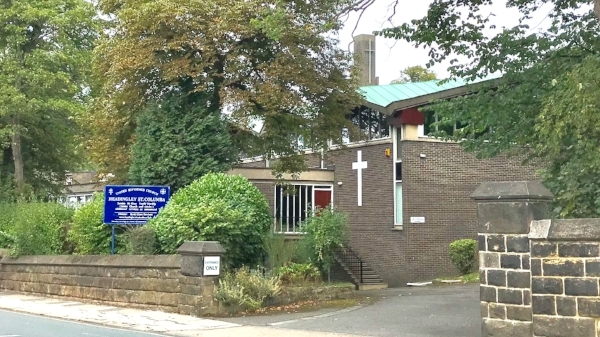 Headingley St Columba has been on the site for over 50 years, first at St Columba, then joining with Headingley Hill. Hence the current Church name. The Church attracted me with the flexible suite of buildings which are well used throughout the week by various groups in the community - more could be accommodated - and a peaceful large worship area surrounded by trees. The Church itself, apart from usual faith related activities, has a monthly afternoon Guild on the fourth Tuesday afternoon, from 2.30pm, which is open to anyone in the community. It is a good social time, with interesting speakers, quizzes and outings, followed by afternoon tea. We also organise children’s parties for disadvantaged children twice a year. We are looking to what else we can do in the community, what the needs are which we may be able to help address. We have some ideas, but nothing would be better than hearing from others in Headingley. Feel free to get in touch via the website. We’d really value working with you.